Uncover secrets involving Satanism, the Vatican and more in this psychological thriller from Bulkypix. The App Store contains plenty of casual games best played for several minutes, and that's fine. Some days, we only have enough time to enjoy a few quick levels before heading back to work, and titles like Angry Birds and Where's My Water? help us scratch that itch, but we also enjoy kicking back for upwards of an hour or more to immerse ourselves in deep, story-driven experiences. 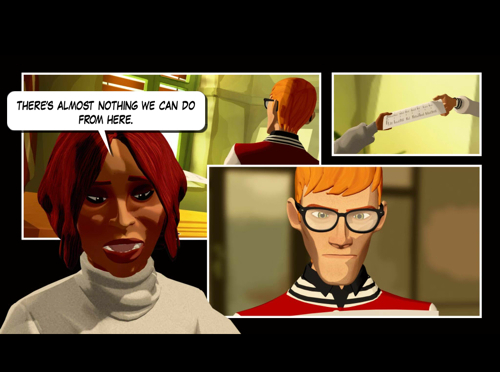 That said, we have high hopes that Pendulo Studios' upcoming iPhone and iPad adventure, Yesterday, provides a digital escape into a twisted world filled with intrigue, bizarre characters and head scratching puzzles. Set to debut later this month and published by Bulkypix, Yesterday is a point-and-click psychological thriller that sends players crisscrossing the globe to America, Europe and Asia as they attempt to track down ruthless killers that have claimed the lives of an untold number of beggars. To that end, users play as three characters. There's Henry White, heir to a large fortune, his friend Cooper, and finally, the enigmatic John Yesterday. One of the twists (of many, we hope) involves Henry's kidnapping by a shadowy group apparently obsessed with the Spanish Inquisition, forcing players to unravel the mystery of his disappearance while also dealing with alchemy, Satanism and secrets of the Vatican. 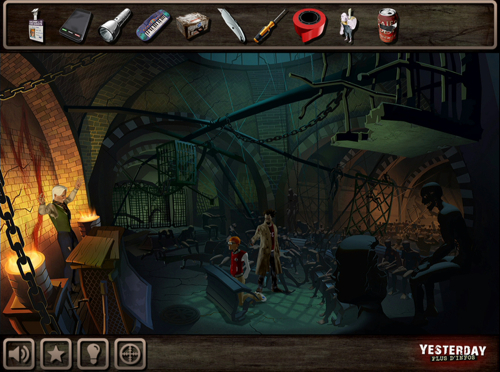 What ensues is a quest that blends good old fashioned point-and-click gameplay, hidden object finding and even a little Mass Effect inspired conversation trees for good measure, as gamers have opportunities to interact with non-player characters (NPCs) and sway their opinions by either lying or telling the truth. Meanwhile, the aforementioned hidden object element factors heavily into the plot, where instead of searching for random junk, players track down useful items; a bat, matches and soaked rag produce a torch, for instance. In addition, and from what we can tell, the presentation looks impressive, with attention-grabbing 2D backgrounds and comic book panel cut scenes. Bulkypix promises references to movies, games, music and novels, and we look forward to seeing how all these things factor into the story. Granted, the App Store has no shortage of point-and-click games, but there's always room for another, and with Pendulo's attention to detail, there's a great chance that Yesterday will become one of the premier adventures for iOS. On that note, expect it to appear within the next couple of weeks.